There are so many reasons to like this movie. For one thing, it's named after the place in Disneyland that gives us Space Mountain. Is that not reason enough? How about the fact that it plays the music from "The Carousel of Progress" within the first couple of minutes? Or that it shows the debut of "It's a Small World" at the 1964 World's Fair? Isn't all that enough to overcome the fact that we're supposed to believe Tim McGraw is a NASA engineer? But in all seriousness, this movie (like every movie) has its good points and bad points. The difference being, this one is particular binary, with seemingly every choice in character casting and development, plot, script, etc. is either good or bad; there are few neutral decisions. Here are some of the more salient points. 1. 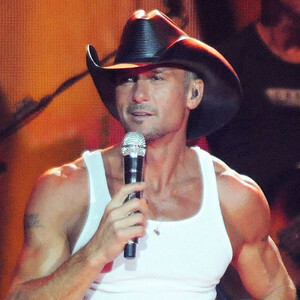 Tim McGraw. As an actor. A NASA engineer. Enough said. Oh wait, except it's not because he's apparently a NASA engineer who needs help from his high school-aged daughter to solve a circuitry problem that's stumped him. 2. The typical old, angry guy who's disillusioned by the world and shuts everyone out, but is actually a nice guy underneath who just needs to be trusted by some young, plucky believer. Yawn. George Clooney was not the best choice for this part, but he gives it his all. 3. The unbelievability of the high school rebel who drives a motorcycle and comes and goes as she pleases without any apparent worry from that "genius" dad of hers. How old is she supposed to be, exactly? 4. 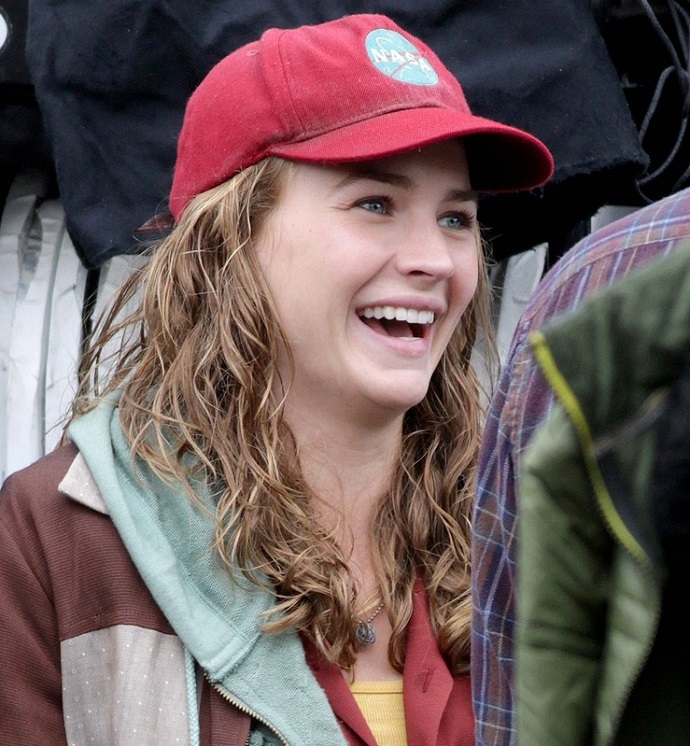 The hideously unflattering NASA baseball cap Britt Robertson insists on wearing throughout the movie as some kind of reminder of her loyalty to her dad or something? Except her dad is Tim McGraw, so you don't want to reminded of that. 5. Predictability. The vagueness of the trailer helps stave off any conclusions for awhile, but eventually, you can figure out the general trajectory of the movie. It's Disney, after all. But the ending is bad. Even by Disney standards. 6. I watch Girl Meets World because I can stand a bit of cheesiness and don't mind overt messages of friendship, loyalty, and being true to yourself or whatever else seems important to teach kids today. Also, because I love Topanga. But this movie takes it several steps further, devoting multiple scenes to these kinds of "life lessons," leaving you confused as to whether this is a kid's movie or an adult one. 1. 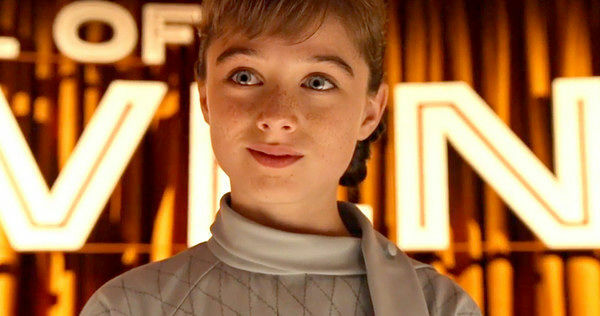 Raffey Cassidy is the best child actor I've seen since Dakota Fanning. (Don't get me wrong--she's no Dakota, but have you seen what passes for a child actor these days? How does Lily from Modern Family have a job?) She embodies her character well and manages to cultivate a sense of connection and empathy with George Clooney through some potentially awkward scenes. 2. With the recent glut of dystopian, post-apocalyptic movies out there, this manages to differentiate itself by injecting some color and optimism, even while lecturing us on our eventual demise. If every other movie were to believed, our future is filled with black tattered clothes and people fighting each other for food in garbage cans. It gives you a sense of wonder that's reminiscent of childhood because no matter how old you are, you never grow out of thinking a jet pack is absolutely awesome. 3. The monologue is memorable. By this, I mean every movie with a good guy/bad guy dichotomy has the inevitable monologue by the villain right before the final action sequence. 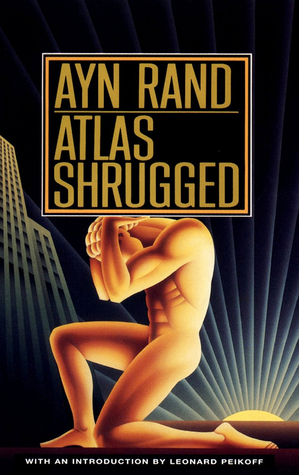 But instead of some eye roll inducing speech, we are instead given a moralizing lecture on our failings as humans. And frankly, it's what stuck with me most when walking out of the theater. Preachy? Very. But also true. While I did actually enjoy the movie (I'm a sucker for environmental issues, even without a naked Alexander Skarsgård), it could have been vastly improved if it hadn't felt the need to commercialize it so much. Even the "villain" in this movie isn't really one, but is forced into that role for the sake of conforming to a pre-conceived notion of how plots should develop. But you know, Disney. Final word: A Space Mountain analogy is apt here--not the best ride Disney has to offer, but is exciting for [older] kids and fun enough for adults to enjoy.